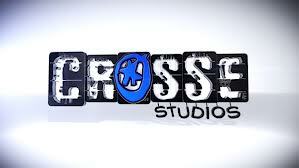 Carlo Sunseri, Founder of Crosse Studios, is on a mission to bring lacrosse into the $20 billion video game industry. Off the top of your head what activity can you think of that hasn’t been in a video game before? From violent military games to wild adventure games, you would think the video game industry has about covered it all. Even in the sports world we see football, basketball, tennis, baseball, hockey, and even ping pong video games! But what about lacrosse? Lacrosse is a sport that has drastically grown throughout the country, played in every state in nearly every high school and college. There’s even a professional lacrosse league called the MLL with a variety of teams that draw a huge amount of fans to the games. Despite the widespread growth of the sport, there has yet to be a lacrosse video game. Carlo Sunseri is determined to change this. As a lacrosse player from Robert Morris College, Carlo is in the process of using crowd-funding to raise money to develop this video game. The video industry is a giant money maker, and sports video games (mostly developed by EA sports) amount to about $4 billion in revenue. With this known, how could someone deny the idea of a new lacrosse video game? From body checks to shots over 110 mph, the sport has action that would translate well onto an animated screen. Carlo has been working hard to overcome the challenges of an entrepreneur and he has been trying endlessly to grow his start-up into a lacrosse empire. With a little more help, Carlo will have the funds he needs to launch this game and bring the game of lacrosse in the big video gaming playing field. Nice post. Caught my attention! Lacrosse — the best sport ever. Thank for sharing this hot topic with us. Who doesn’t like lacrosse? Ok. Lacrosse is my life. This guy knows his stuff. Awesome article. Thanks for posting. Lacrosse rocks! And so does this guy. Lacrosse rocks and Carlo is a rockstar! That’s brilliant…I love Lacrosse and glad it is growing so handsomely …Thank you Howard Davidson Arlington MA for sharing more about my favorite sport.